It surprises me when I see the future of Indian Women’s Cricket, it is moving like the typical way we Indians move in all sports. But in the other side of the world, we see women’s cricket is so well organized. Even a club cricket tournament is organized in such a manner where the development for the women cricket may not be that much highlighted but the country can find some naturally talented young cricketers. 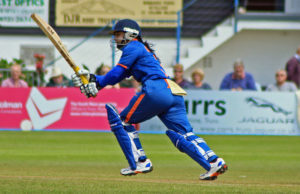 We always talk or write about the positive side of women’s cricket but in my view it’s high time, Indian women’s cricket is properly established after more than 30 years of existence. After every 5 years, there is a change in the Association. Whenever there’s a new association formed, always the first plan is to promote more cricket in district and club level. Every time we cannot say we are new to the association but we are looking forward to promote more women cricket in district level or club levels. Take an example of Indian Railways, in the year 1985 the Indian Railways team formed and played the national championship and lifted the winner trophy. And the greatest part is out of the 15 members Indian Team squad, 10 girls were selected from Indian Railways. And I feel proud of Miss Diana Eduljee who took the initiative in making such a dream team. So in the current women’s cricket scenario we require to look for an organizer who can bring the strong development for women’s cricket. Sports are being encouraged in this country but the organizers have to perform. Indian Women’s Cricket Control Board should improve development department and they should be working closely with a number of schools, the local authorities should organize tournaments like Inter school championship markings championship only for the primary schools. The Primary Schools should be benefited from an empirical project. Schools can bid for new opportunities fund grant aid as a possible source of finance, in conjunction with local authorities. There should be a Cricket Development Officer, who will work in the Metropolitan districts level and for primary schools. These patterns of marks will be brilliant for the future of women’s cricket. These will visually produce a spark and just one example of the modernization for women’s cricket will make to get schools playing. Plenty of ex cricketers can be given and taken as coaches for the primary schools. The WCAI should form a partnership with Schools’ Sports Co-coordinators in India to build on this work. 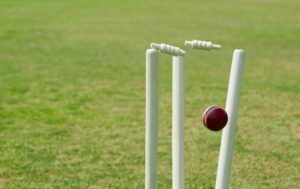 The scheme aims to address the points by providing professional advice to help clubs schools and state teams to improve the playing quality of their grounds for domestic matches and help improve the general standards of cricket at grass root levels and also assisting the clubs in improving their cricket standard. The works can be prioritized before the cricketing season’s start. Regular liasoning with various state committee members would help in straightening of new working methods. It is not so much about winning games. But, of course, if the organizers perform better then it automatically increases the chances of success for both Women Cricket Association and for the Players too. The more cricket is played, the more people will acknowledge Women’s Cricket and it will be much more easier to assimilate with the BCCI. Some how, I feel the standard of women’s cricket in India requires lots of improvement. There is far more to the game than just knowing how to play certain cricket shots or bowl a certain kind of ball.